There are so many beautiful places in the world, and there are also lots of bizarre ones. 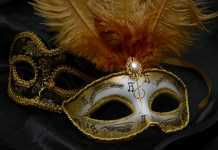 Some of them are remarkable for the unusual streets. 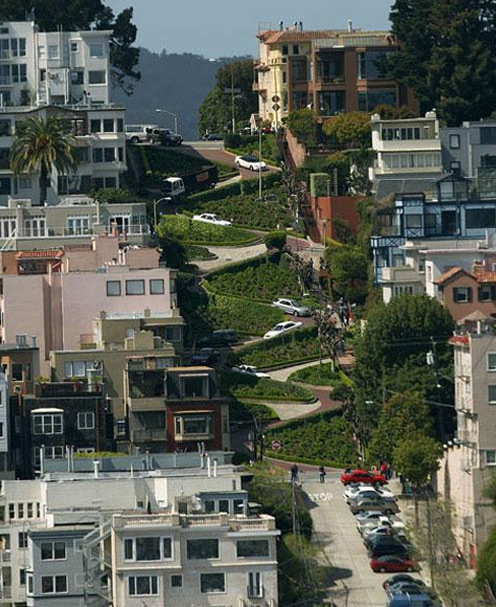 For example, this is Lombard Street which is situated in San Francisco, a quite hilly city. This street is a 27 degree hill, moreover, it has eight “acute” turns. 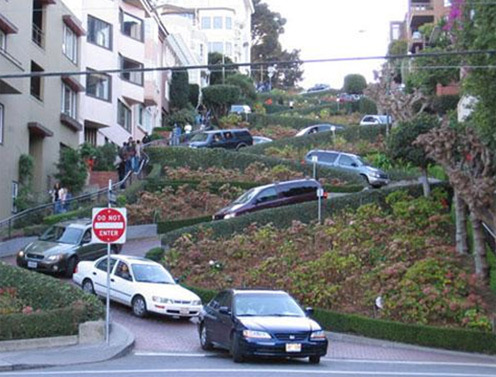 This makes Lombard Street the most twisting street in the US. 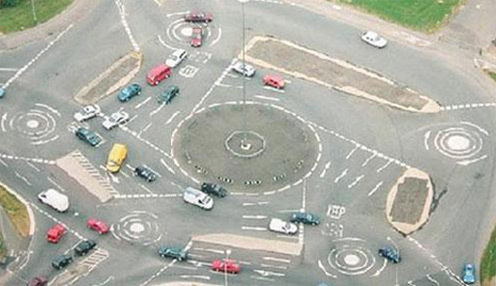 In 2001 the local authorities were about to close the street for the traffic, but decided to make it one-way. 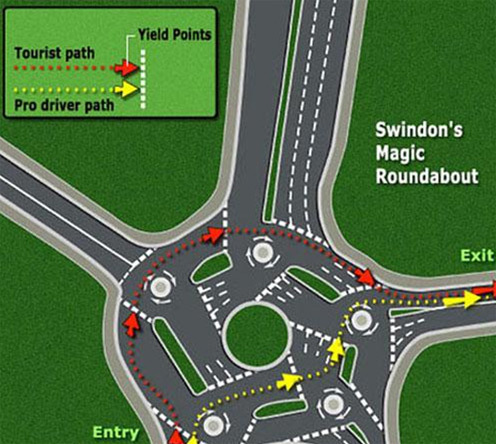 The Swindon street, England, looks like a very tagled crossroads, but in reality it is surprisingly functional and makes the traffic easier. 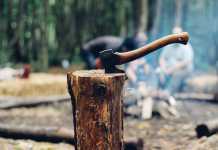 However, the only view of it shocks. 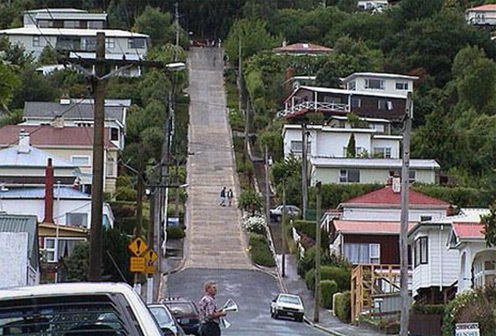 The steepest street is in Dunedin, New Zeland. It was planned by London armchair officials nonmetering the locality particularities. 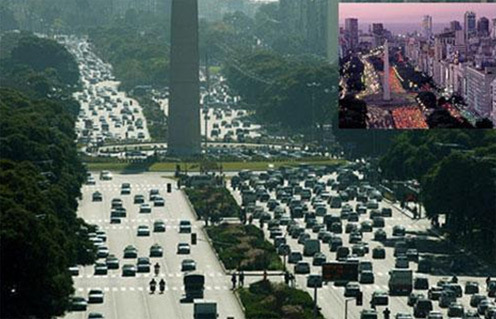 The widest street is in Buenos Aires. To cross it, one needs to walk for several minutes (the width is 300 feet). 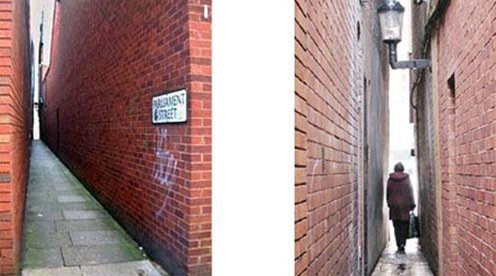 The world’s narrowest street is in Exeter, England. There’s hardly enough space for a person. 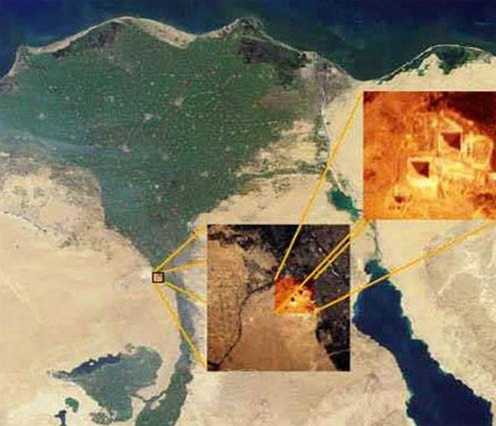 The world’s oldest street is in Egypt, it leads to the pyramids. It was built more than 4600 years ago. The longest street is in Toronto, Canada. Its building started in the 18th century and still continues. Next articleBritney Spears Will Get Back Together with Kevin Federline? The world’s narrowest street is indeed parliament street as depicted above but it is in Exeter, England Not Charlestown. I live right by it. Goerge, thanks a lot for the information! I haven’t been there, and my “info-sources” let me down. Mistake fixed.